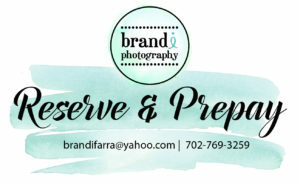 brandimarketing @ Brandi Marketing – Photos, Logos, Website & Everything in Between – Such as Graphic Design, Marketing, Social Media, Photography, Event Planning, Etc. logos, websites & everything inbetween! AND SAVE ON YOUR PHOTO ORDER! A hashtag is a word or an unspaced phrase prefixed with the hash character (or number sign), #, to form a label. It is a type of metadata tag. Words or phrases in messages on microblogging and social networking services such as Facebook, Google+, Instagram, Twitter, or VK may be tagged by entering # before them, either as they appear in a sentence, e.g., “New artists announced for #SXSW2014 Music Festival” or appended to it. 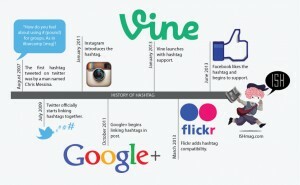 The term hashtag can also refer to the hash symbol itself when used in the context of a hashtag. A hashtag allows grouping of similarly tagged messages, and also allows an electronic search to return all messages that contain it. Due to its widespread use, ‘hashtag’ was added to the Oxford English Dictionary in June 2014. I find this marketing stunt hilarious. Great use of viral marketing! Enter the new Vince Vaughn movie Unfinished Business, which comes out Friday. Twentieth Century Fox has teamed up with iStock by Getty Images to create a set of stock photos featuring Vaugh along with co-stars Tom Wilkinson, Dave Franco and others. Twelve images are being made available for free download—for editorial use only—over three weeks. Another Awards Show in the Can! If you missed the first airing of the MMA Awards last Wednesday night you are still able to catch it next Thursday February 12th on the FOX Sports Network. The largest project I work on every year is the Fighters Only World MMA Awards at the Venetian Las Vegas. As the Event Producer I’m in charge of everything that has to do with event graphic design, team meeting management, ticketing, RSVP management, red carpet, seating plan, talent pulling, production assistants, volunteers and so much more. Event planning is definitely one of the things I LOVE to produce. Prioritize. Once in the morning and then again in the middle of the day, take a step back and examine if your efforts are focused on the right projects. “You need to ask yourself, ‘Am I working on the most important thing I can be working on? '” Wendleton says. If you want to save time, make a to-do list the night before and then update it in the afternoon. “You need to ensure you’re working on things that are important to the company,” Wendleton says. The more important your work is, the more valuable you are as an employee. Set long-term goals. “Too many people get caught up in the day-to-day things that need to be done—the recent email that came in, the phone call that just came in—and then they really don’t get anything done that’s significant because they’re just fighting fires,” Wendleton says. Develop two big-picture things that you want to accomplish throughout the year and post them next to your computer as a reminder. Start your day earlier. If you can, get to work early, when people aren’t there to distract you. “You’ll get so much more done,” Wendleton says. An empty office means no one will be bothering you with questions and taking time away from your work. Surf the Web—occasionally. Web browsing can actually refresh tired workers and enhance their productivity, compared with other activities such as making personal calls, texts, or emails, according to a study released last year by the National University of Singapore. The study found that taking intermittent breaks from tasks to surf the Web and visit your favorite sites can help you focus more when you go back to work. Don’t multitask. Focus is key. “These people who think that they can multitask are wrong,” Wendleton says. Focus on one thing, get it done, and move on. “The people who are able to focus and get something done well are the people who are most productive,” she says. Multitasking will eat up 40 percent of your workday, Tabaka says. “Employers want people who can focus,” she says. Instead, block out time to do certain tasks. “You’re not putting things off—you’re scheduling things,” Tabaka says. Meditate. It gives you the ability to let go of the stress. While you’re meditating, Tabaka suggests visualizing what you want your ideal day to look like. “That’ll get you one step closer to creating that ideal day,” she says. Tabaka adds that meditation doesn’t have to mean sitting in a still position and humming; you simply need to do something that relaxes you. Snack right. Snacks should be high in protein and high in fiber. “Don’t limit your snacks to just one food group,” says nutritionist Heather Bauer, author of The Wall Street Diet. For example, if you’re going to snack on a piece of fruit, add some peanut butter for energy and two pieces of high-fiber bran crisp bread. Or pair a handful of high-fiber cereal with a flavored Greek yogurt. Noshing on pretzels and chips? They’re full of simple sugars that create a quick rise in blood sugar levels, but they aren’t good for the long haul. “This is ideal for a moment, but then you end up feeling hungry and tired 20 minutes later,” Bauer says. Power nap. A number of medical studies have shown that short napping in the early afternoon increases a person’s productivity, alertness, and sometimes even their mood. “A very short, regenerative nap can help you channel your energy and refocus,” Tabaka says. Just be sure not to sleep for more than 15 to 20 minutes. Otherwise, it could create problems with your boss. Counter interruptions. You must have a strategy for dealing with interruptions. Caroline Ceniza-Levine of New York career coaching firm SixFigureStart says, “When someone comes in, all of your strategies shouldn’t go out the window.” If a colleague comes in and asks for a minute, you can say, “Not right now. Send me an email, and we’ll set up some time.” One caveat: Don’t try it with your boss.